Click & Collect not available on this item. Stock available in-store shown above. Learn the ABCs about me with this Life Science Set. Contents: A molecule model, an anatomy torso with 3 removable pieces (rib cage, lungs and liver), a book and a poster. It all adds up to fun with this Math Whiz Set. Contents: A tool box, a pencil, a pencil sharpener, an eraser, a protractor, a ruler, an isosceles triangle ruler, a rectangular triangle ruler, a compass, a calculator and a notebook. Head to the cafeteria with this All Set For Lunch Set. Contents: A lunch box, a sandwich, a yogurt, a spoon, a carton of milk and a container of vegetables with a lid. Have a game of badminton with this Phys. Ed Gear Set. Contents: A headband, 3 badminton birdies, 2 badminton rackets, a container for your badminton birdies and a water bottle. Nail the project with this Woodwork Set. Contents: A jar of screws, a saw, a birdhouse, a hammer, a paint brush and a paint bucket with lid. aster the science of having fun with this Lab Class Set. 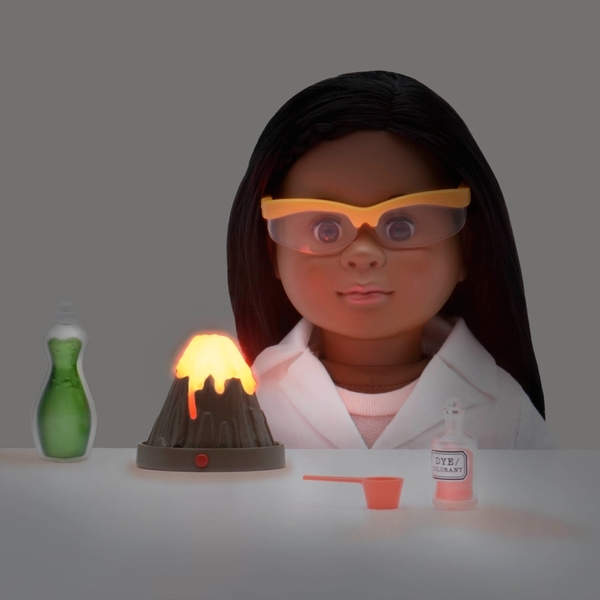 Contents: A volcano with functioning light, 2 phials, a bottle of baking soda, a measuring spoon, a rubber ball pipette, a bottle of dishwashing liquid and a pair of glasses. EU Warning: Not suitable for children under the age of 3 years due to small parts which could cause a choking hazard.